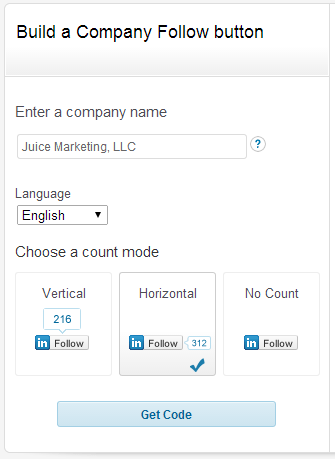 Your LinkedIn Company Page can add tremendous value to your social media marketing efforts. There are so many ERP VARs that have personal profiles on LinkedIn, but many aren’t utilizing the company-level tools and features that LinkedIn has to offer. In a previous post we shared some basics of creating and using a LinkedIn company page. So here are 4 more ways you can put that new Company page to work for you. More so than most other popular social networks, LinkedIn is designed around business and professionals. So companies that take advantage of the business-oriented tools and features to showcase their company tend to have more followers and better engagement than those who don’t. The Product & Services tab on your LinkedIn company page makes it easy to showcase your software, support, training, and other services. 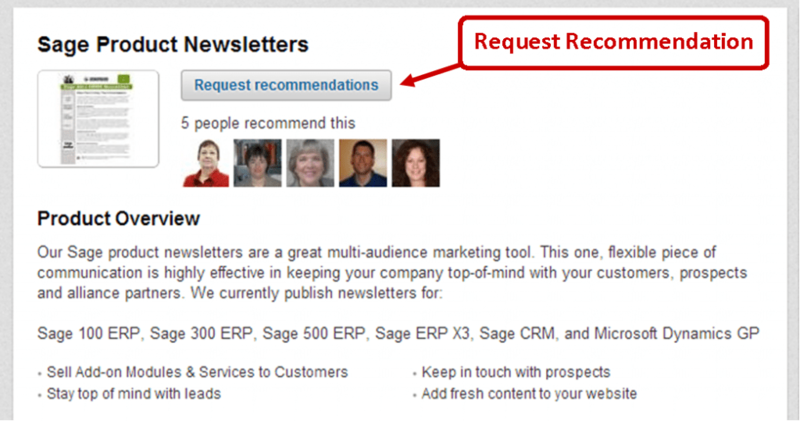 Now that you’ve set up some Product & Services pages, you can start asking customers for recommendations. 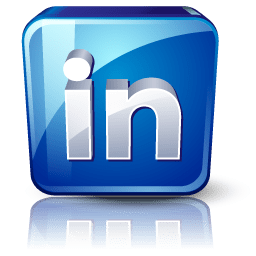 So when other LinkedIn members visit your company page, they can see who in their network has recommended your products and services – and when it comes to marketing, nothing is more powerful than a credible endorsement or client recommendation. To get started, head over to one of your product pages and click on the “Request Recommendation” button at the top. 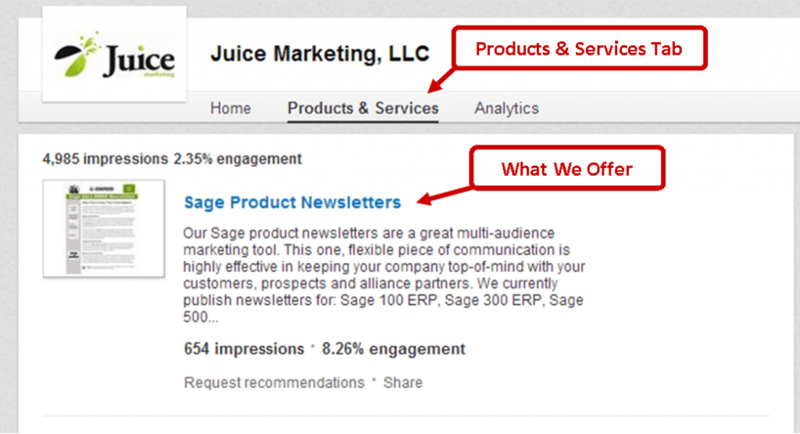 To see “live” recommendations in action, check out the Juice Marketing products and services page on LinkedIn and you’ll see over 20 recommendations for our various marketing programs (from Sage and Microsoft VARs – probably some people you know!). Just this past year LinkedIn added the ability to share content and engage with others as a company, to complement the sharing you might do from your personal profile. This little feature is big news when it comes to building your company’s brand and creating company-level awareness among your LinkedIn network. You can now use your company page to share blog posts, news, events, promotions, and much more. When your company page is active and engaging, you’ll attract more followers and build a good rapport with your customers. Make sure your employees and customers know that you have a company presence on LinkedIn. As a start, you might include a link to your company page in newsletters, your email signature, and on your website. Head over to the LinkedIn Developers page to download the code snippet and add a follow button to your website. This lets your customers and prospects follow your company on LinkedIn with a single click from your website. If you have Admin access, head over to LinkedIn Analytics where you’ll find a wealth of insight that helps you monitor your page, engage your followers, measure you’re reach, get detailed demographics data, and figure out what content attracts the most clicks and interaction.